The Green Deal is a brand new initiative implemented by the Government to facilitate the retro fitting of energy saving measures to millions of homes across the UK. It has been designed to revolutionise the energy efficiency of properties throughout the UK. 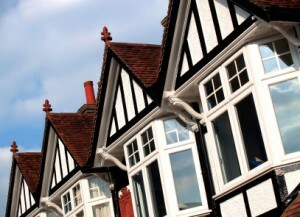 Under the scheme, households and businesses alike will be able to improve the energy efficiency of their properties by taking out Green Deal loans to have their properties made more energy efficient by implementing Green Deal measures, essentially home improvements ranging from fitting condensing boilers and energy efficient windows and doors through to installing solar panels and other microgeneration technologies. An approved Green Deal assessor will visit a property and make recommendations on what home improvements are suitable for the property and advise on which measures are eligible for Green Deal finance. Although there isn’t any up-front cost involved – which is a big selling point for the scheme – householders and businesses will be required to pay back the loan over the lifetime of the specific home improvement (for example 25 years for solar PV) or alternatively over a specified agreed ‘pay back’ period through additional charges to their energy bills. For a Green Deal measure to be financed through the scheme it must meet the ‘Golden Rule’, which means any estimated financial savings that can be achieved through the home improvement must be greater (or at least equal to) the cost of the repayment over the lifespan of the Green Deal plan. Simply put, savings on bills will overcome the additional cost. Should people move from their home, the charge will remain with the property. And because the finance will be tied to the energy meter rather than the householder, it means that credit ratings won’t be an issue when it comes to qualifying. A framework has been established which will allow private firms to offer consumers energy efficiency improvements including energy efficient boiler replacement, cavity wall insulation, double glazing and loft insulation to their homes, community spaces and businesses at no upfront cost. Private companies have been drafted in to finance the up-front cost of the installation and will recoup their cost through the savings made by the resulting reduction in household energy bills. A proportion of that saving will also be passed on to the house holder. What does the Green Deal propose? The expected financial savings must be equal to or greater than the costs attached to the energy bill, known as the ‘Golden Rule’ of the Green Deal. Any how improvements must be approved and the claimed bill savings must be those accredited through this process. The measures installed must have been recommended for that property by an accredited objective Green Deal assessor/advisor who has carried out an assessment of the property. The measures must be installed by an accredited Green Deal installer. For households, the Green Deal provider must give appropriate advice within the terms of the Consumer Credit Act, and must take account of the individual circumstance of the applicant. The Green Deal Provider must have consent from the relevant parties, including the express consent of the current energy bill payer. The presence of a Green Deal must be properly disclosed to subsequent bill payers (new owners and tenants) alongside energy performance information. Energy suppliers must collect the Green Deal charge and pass it on within the existing regulatory safeguards for collecting energy bill payments – including protections for vulnerable consumers. Launched in January 2013, the Green Deal has been introduced by the Government as a means of upgrading Britain’s ageing housing stock. Although homeowners who live in poorly insulated and badly heated homes will be encouraged to undertake energy efficient home improvements, the scheme is voluntary. Any Green Deal debt will remain with the property and its electricity account until it is paid off. If you move house the new owner will take over the repayments, given that they will be the ones to benefit from the home improvements. Therefore, if you have taken out Green Deal measures on your home you must disclose payment plan details should you come to sell or rent the property.